Start Your Healthier Lifestyle Today! An all natural latex mattress is the best choice for your health and comfort! You spend one third of your life sleeping. It is very important for the strength of your immune system to have a safe environment while sleeping. More recently it is coming to light how toxic our mattresses and bedding materials are – containing chemicals such as formaldehyde, butadiene, antinony, styrene, PBDE’s (polybrominated diphenyl esthers), toluene di-isocyante (TDI) and other glues and adhesives, insecticides, boric acid and much more. Research shows after eight hours of breathing and skin contact with these chemicals, they show up in our system. Just do a little research on the toxicity of these chemicals and you will find you not only don’t want your nose and body next to them - you don’t even want them in your house. Very toxic! These types of chemicals are very harmful to the immune system. And remember – the immune system is the most powerful and important factor for your health. With cancer now surpassing heart disease as the leading cause of death in the U.S. and other countries, sleeping with highly toxic substances is NEVER acceptable! The mattress industry truly lacks regulation, as much of the advertising is completely misleading (especially when it comes to health) and a complete list of all material in the mattress, including toxic chemicals, is not required and rarely available – even in the latex mattress industry. But after much research and study, I feel I have found the best bed for healthy sleeping. What I found is a bed that is safer and more comfortable than any I have ever slept on. This all natural latex mattress (organic mattress) assures you are getting just pure botanical latex with no toxic blends as some latex mattress have, but also organic cotton and organic wool covering. It doesn’t get any safer than that. And safety is also of highest priority when buying an organic baby mattress, another great product available here, along with organic sheets and organic pillows. For comfort, there is something about this mattress that just screams – or rather whispers – DEEP, RESTFUL SLEEP. This all natural latex mattress surpasses any bed I have ever slept on for comfort including the soft sided waterbed I thought was a cloud. My naturopathic doctor kept asking me where I was getting mold that was showing up in my body and I finally found it – thanks to a bigger leak in the water bladder. With natural latex, just another problem I don’t have to worry about. This all natural latex mattress system is completely ‘customizeable’ for the ultimate in comfort. From ultra soft to extra firm and MANY choices in between, the layers you choose of denser Dunlop or pillowy-soft Talalay or a combination of both – always all natural and non-toxic – gives you the comfort level you want. 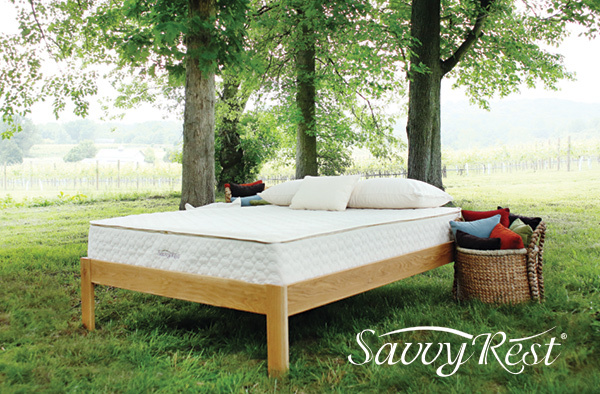 Talalay latex mattresses make the softest latex beds available. An especially important advantage to the comfort of this bed is that you can customize each side for dual comfort! I love excellence and this company has it! I am proud to offer this company to you, as per my research, as the safest all natural latex mattress and organic bedding you can buy. And the product is …. 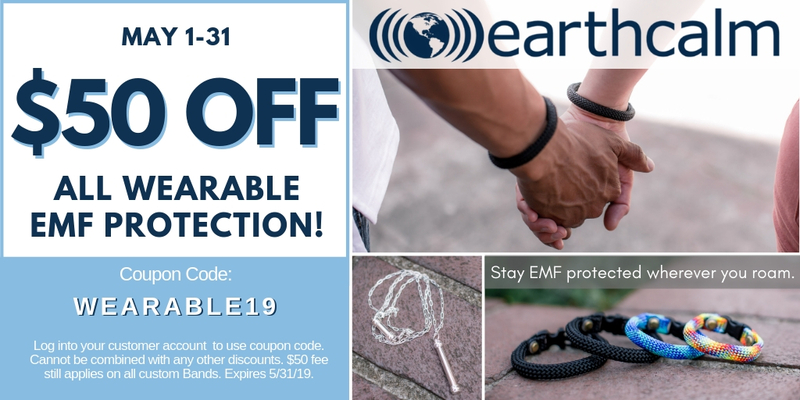 Add to your peaceful sleep with the EarthCalm Scalar Home Protection providing 3 different technologies for EMF protection and boosting immune system for better health! Remember, nothing heals the body – the body heals itself when provided with what it needs! Copyright © 2008-2019 Gift of Health. All Rights Reserved. No reproduction permitted without permission. The contents of this website are not intended to provide personal medical advice. Statements are not approved by the FDA. Most information is backed by clinical studies.